And now, during their golden years, they’re still depending on you for the love and companionship they’ve grown accustomed to. But they also need all of the things that will keep them healthy, happy and as free from pain as possible, for as long as possible. Just like us, our pets are prone to debilitating ailments as they get older. While many small breed dogs are considered seniors at 15, large breed dogs such as Mastiffs and Great Danes are referred to as geriatric when they are only seven. Indoor cats, on the other hand, tend to outlive most dogs and experience an overall longer life. Thanks to innovative health care resources, pets have access to alternative therapies like herbs, acupuncture and homeopathics. They also have new generation medical options such as non-steroid anti-inflammatory drugs, which help manage aches and pains. One of the most important things you can do for your pet is to schedule regular veterinary exams. You can choose the experiences you have with your dog at this phase, and the choices you make will impact your memories long after they are gone. 1. A quieter home – small children, a rambunctious puppy or kitten, street noise, etc, can all make an older pet more anxious or nervous, especially if he/she is experiencing pain, vision or hearing problems. 2. A different diet – older pets often have a harder time digesting food and eliminating waste. Changing the mix and/or type of food or adding supplements like probiotics and digestive enzymes often help their aging digestive system cope better. 3. More stable routine – as your dog or cat age, they may be more fearful of you leaving or of unexpected changes to the home environment. 4. Less change in the home – you may need to put things away so they doesn’t trip or become disoriented or confused. Leave their food and water in exactly the same place each day. 5. More frequent outdoor time for doggies and more litter boxes for kitties – this will lessen the chances of them soiling in your home. 6. Help with changing sleep patterns – some older pets may become restless at night, and stay awake, pacing through the house, or vocalizing. They may need help with pain, may experience the need to urinate or defecate more often. Sometimes the loss of vision or hearing and other neurologic conditions can make it hard for them to sleep well too. 7. 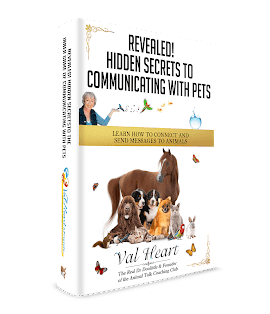 A voice in their end of life decision – pets are intelligent creatures who know more about what is going on with their health issues than you may believe. They know what hurts, what they are afraid of and how they feel about their own recovery process and even death. They definitely want to share all of this with you. It is important for you to actively communicate directly with your dog or cat to get their feedback on how to deal with health, emotional and euthanasia decisions. Just as we humans age and become wiser but also more frail, so do your animal friends. Making changes for their health and in their environment can make for a much happier, more comfortable pet in their senior years. Instead of leaving you with guilt and regrets, being proactive and taking the right actions now during this important time in their life can give you memories you’ll love and treasure for the rest of your life.